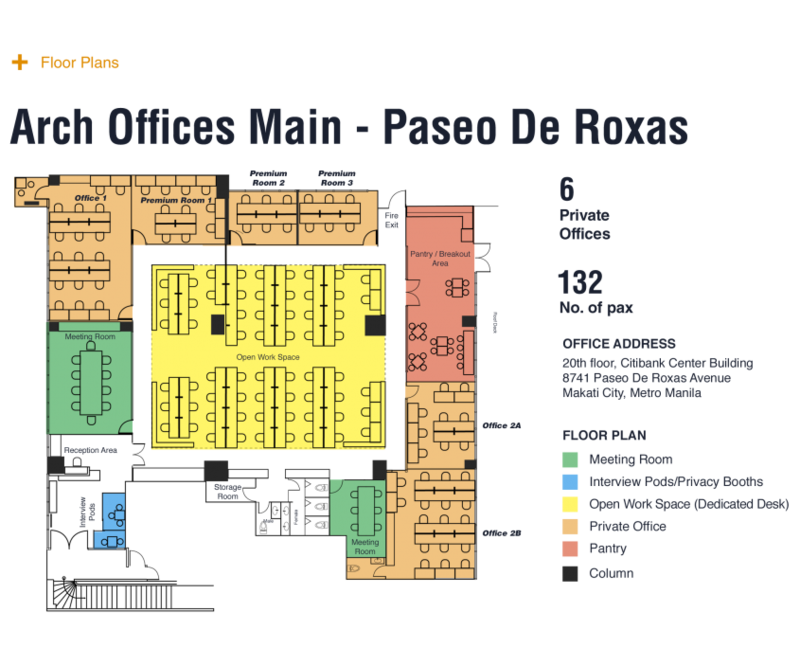 Dedicated Desk & Workstation Makati - All Inclusive Amenities! A desk of your own in a shared space. You’ll set up shop in the same spot each day. Dedicated Desk means that the specific desk you book is yours for the duration of your booking. 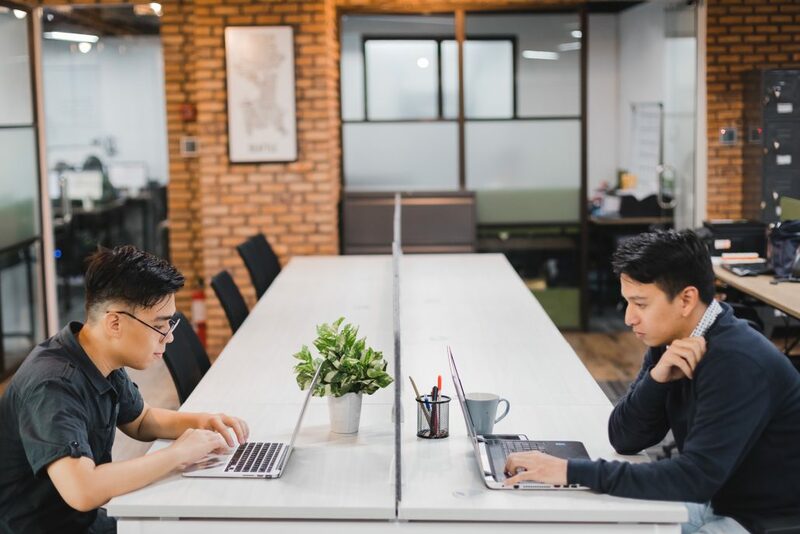 If you book for 6 months, you will have the same space for all 6 months, meaning you and your team will work from the same spot all day, every day. Our dedicated desks give you all of the benefits of a shared space but with an added level of permanency and personalization. 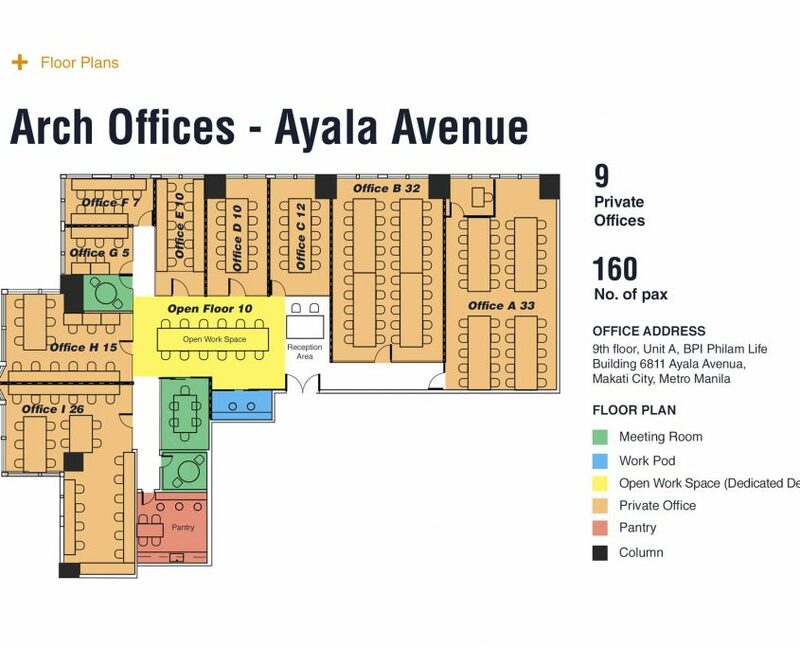 With this plan you also get access to the communal, co-working spaces allowing you to network and collaborate with our members and grow your business. 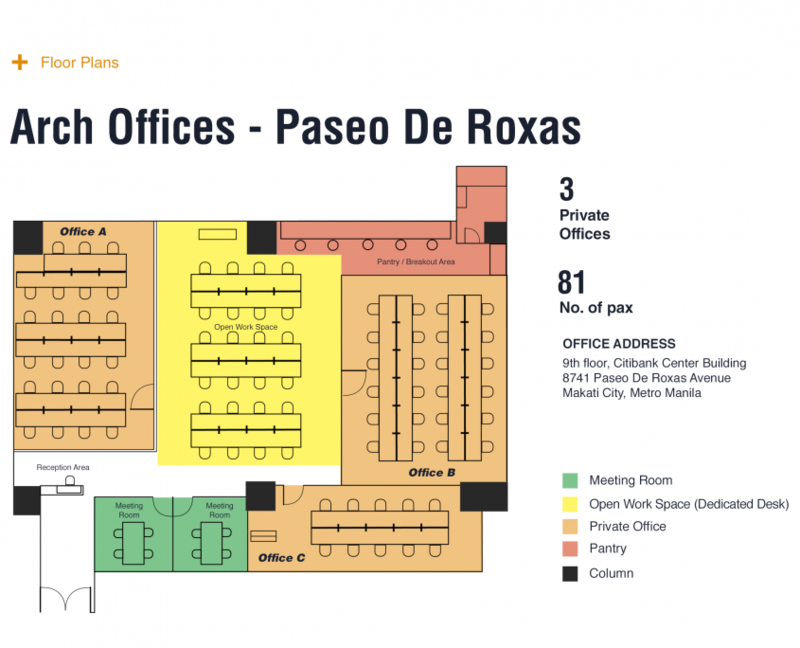 What is included when I book a dedicated desk at Arch offices? With a Dedicated Desk, you get your own dedicated workstation and a locker to store your personal things. 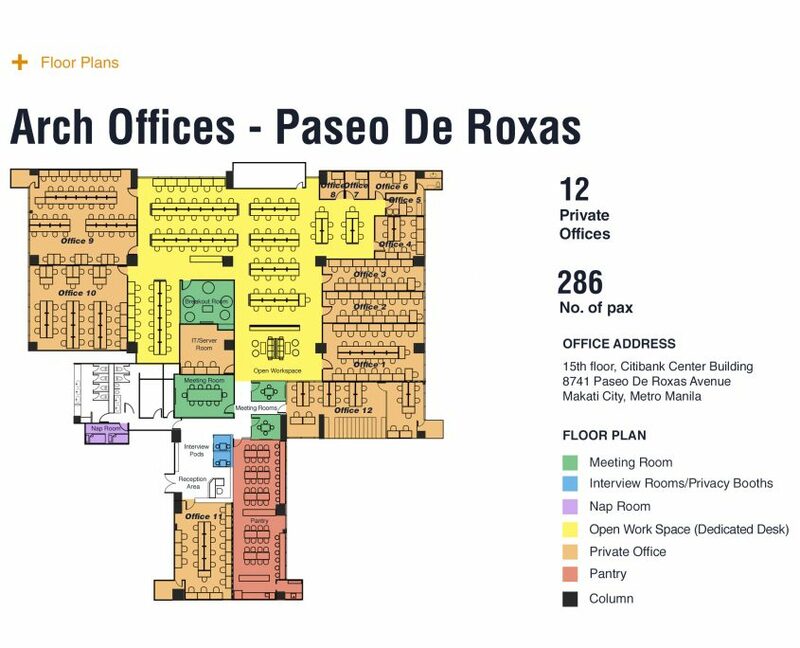 You can also have access to printing, mail and package services, and you can book conference/meeting rooms for your use. Total Access You get your own personal dynamic keycard to access your dedicated desk 24/7 to get as much work done as you need. Secure Storage Lock away sensitive files in your locker, or simply leave your monitor on your desk. Break out area Dedicated members don’t just get access to their personal desk– they get access to the common areas like our break out area and pantry. Complimentary Refreshments Enjoy complimentary alkaline water, unlimited homegrown coffee, or prep your lunch with refrigerators and microwaves in our kitchenette or pantry. Inclusive Utilities Air-conditioning (during business hours), A/C capable of 24/7, power and water supply. Building offers 100% Backup Power. A desk of your own in a shared workspace. Need a different environment to work in that will help boost your creativity and productivity? Check out Arch Offices today and enjoy the luxury of leaving your belongings at work and always having a personalized workspace to return to day after day. Are you looking for your own desk to work in? Look no further! Click here to get started. Want a desk of your own?